Don’t you just love it when a simple message can cause a wave around an entire nation? This time, Kaun Banega Crorepati enters its’ 8th season with a heart-warming launch commercial. The script is based on a great insight that is specific to India and is flawlessly weaved in with the show’s format. A message like this, when delivered by a show that’s won a million hearts and a man that has captured a billion, was sure to induce a tear or two. And that tagline at the end – goosebumps. Wendy’s is a U.S. based fast food company that had launched their new Pretzel Bacon Cheeseburger last year. For the launch, they came up with an ingenious digital campaign that ended up being their most successful launch ever. 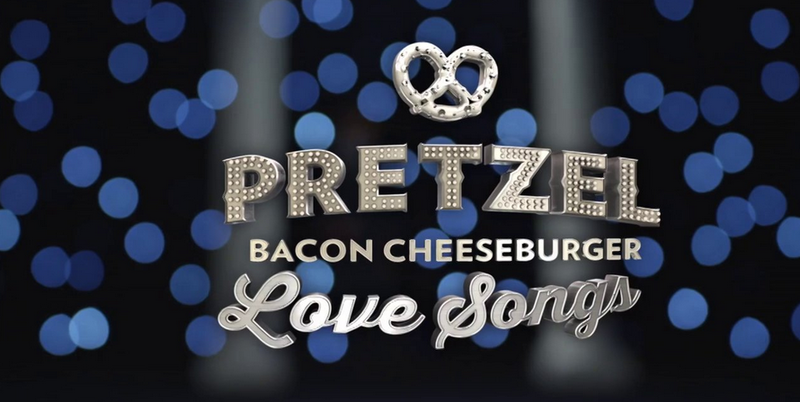 They asked users to write about Wendy’s new Cheeseburger on Twitter and Facebook using #PretzelLoveSongs. Their tweets and comments were then converted into lyrics for real music videos that were uploaded in record time. This campaign, in all it’s ridiculousness, is simply amazing. Their use of social media is very effective and engaging. The execution of this idea is spot on too. It’s cheesy, this campaign, and one cannot deny it’s entertainment quotient either. But here’s the cherry on the top. You know how they say that advertising cannot directly link to market revenue? Well, this campaign led to an immediate hike in their stocks by 31%. Here is a video of the case study for this campaign and it’s impact. Take a look at one of the music videos that they made and let me know in comments as to why you think this campaign worked.